• Are corporations “persons” – and thus entitled to the First Amendment’s guarantee of free exercise of religion? It’s a no-brainer. • May a corporate “person” claim an exemption from a law of general applicability – in this case the Affordable Health Care Act – if the law conflicts with the “person’s” religious beliefs? It’s obvious. • What did Congress mean when it passed the Religious Freedom Restoration Act? Congress didn’t have a clue. 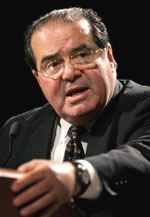 Author Bruce T. Murray takes a stab at how Justice Antonin Scalia might have expressed his opinion in the recent case, Burwell v. Hobby Lobby Stores, Inc. Predictably, Scalia ruled with the 5-4 majority in favor of the company that sought a religious exemption to the contraceptive mandate contained in the Affordable Care Act. But Scalia did not write the opinion of the Court, nor did he submit a concurring opinion. No doubt, the Court's most outspoken and quotable justice would have plenty to say about the issue. In this imagined concurring opinion, “Scalia” touches on many of his familiar themes: Originalism, textualism, attacks on colleagues, attacks on Congress, attacks on precedent, arrogance, humor, irony and impeccable logic. See Scalia’s full “opinion” here. Also see a critique of Scalia’s opinion, and a detailed analysis of Scalia’s judicial philosophy. Bruce T. Murray is the author of Religious Liberty in America: The First Amendment in Historical and Contemporary Perspective, published by the University of Massachusetts Press. 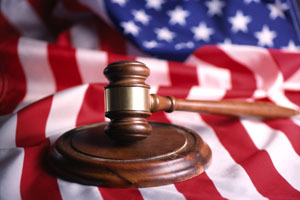 He is currently a third year law student at Thomas Jefferson School of Law in San Diego.